October is Transport Month – focusing on the role transport plays in the economy, flagship projects and road safety – a fitting time to prepare for updates to legislation that will impact the lives of all drivers and transport company owners and operators – the Administrative Adjudication of Road Traffic Offences (AARTO) Amendment Bill. Approved by the National Assembly in September 2017 and now with the National Council of Provinces for approval, the Amendment Bill heralds significant changes. Piloted in Tshwane and also implemented in Johannesburg, the AARTO Act has been in force since 2008. Once the AARTO Amendment Bill is approved, the AARTO Act will be applied nationally. “It is important for companies to familiarise themselves with AARTO now so that they can train their drivers and put systems in place to manage their risk,” says Swanepoel. The Amendment Bill will also introduce a far more effective system for the delivery of documents. Where documents previously had to be delivered by registered mail through the post office, in terms of the amendment, authorities will now also be able to serve documents via e-mail and to send reminders via WhatsApp and SMS. These notices will be considered as having been delivered, eliminating the potential for offenders to avoid receiving notices via registered mail, delivered through the postal system. “The AARTO process starts with an infringement notice advising the road user of the penalty, discounts and payment deadline. This is then followed up with a courtesy letter to pay. Failure to make payment at this point will result in an enforcement order being issued and the imposition of a NaTIS block on obtaining driving and vehicle licences, in addition to an administrative fee. AARTO originally included a warrant of execution of property – a process, where offenders’ property could be seized and sold to cover the penalties and fees. However, this process has not been used at all and has been removed in the amendment,” says Swanepoel. A controversial change to the Bill is that the option for offenders to elect to appear in court to challenge the prosecution has been removed. Abuse of this option by infringers in Tshwane and Johannesburg resulted in a backlog in the court system. Swanepoel says that Parliament therefore took the decision to eliminate this option. “In terms of the proposed amendment, an offender may make representation to the Road Traffic Infringement Agency (RTIA). If this is unsuccessful, the next step is to appeal to a Special Appeals Tribunal,” she says. The Bill proposed that if the appeal failed, the offender could only take the case to the High Court. Following concerns raised in well-attended public hearings, in light of the pending introduction of demerit points and the possibility that licences could be suspended and cancelled, the National Council of Provinces is now reviewing this aspect. One of the options discussed is that offenders will be able to take their cases to the Magistrates’ Court. In terms of AARTO, it is the duty of operators of transport services to know who is driving their vehicles at all times, so that individual offenders can be dealt with. Drivers will have zero demerit points when the provisions on demerit points are promulgated, even if they have existing cases that have not been finalised. Depending on the severity of the offence, 1-6 points are allocated for offences. If an Infringer has more than 12 points, it will result in the disqualification of the driving licence and three suspensions result in its cancellation. Operators are responsible for the roadworthiness of their vehicles and will earn demerit points, which could result in their vehicles’ licence discs being suspended. Current legislation is contained in the LexisNexis Road Traffic and Road Transport Legislation Service, as well as in the Road Traffic Legislation Manuals. These publications are available in online and print format and are updated immediately upon promulgation of any new or amending legislation. The following titles by expert Alta Swanepoel are available from the LexisNexis online bookstore at http://bit.ly/2PnGrA9. All prices include VAT and exclude shipping. Swanepoel has a B.Proc degree from the University of Pretoria and is the owner of Alta Swanepoel and Associates CC, a legal consultancy specialising in the development of transport and related policies and planning and drafting of road traffic and transport legislation. 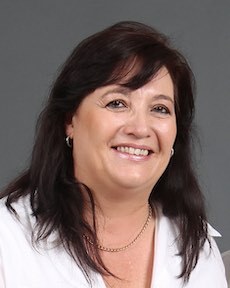 A part-time lecturer at the University of Johannesburg in Road Traffic and AARTO legislation, a member of CILTSA and a consultant to SANRAL, Swanepoel has also assisted in drafting the regulations to the Road Traffic Acts, 1989 and 1996 and been part of the AARTO process.